Congratulations! You’ve decided to build a new home. 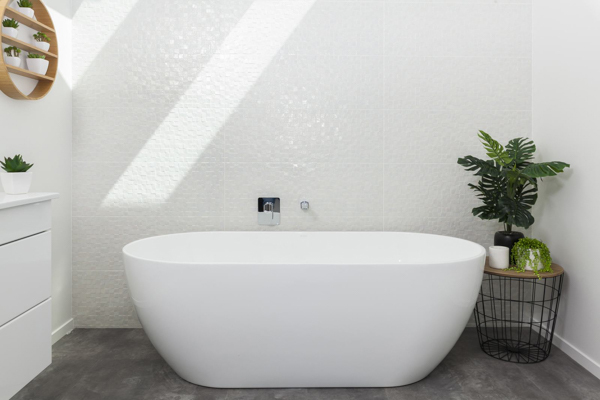 The next step involves whittling down those Instagram and Pinterest image collections, and choosing the design features of your bricks and mortar, or weatherboard and stone, to make your home dreams come true. You’ve actually got some 500-600 decisions ahead of you – it could be daunting, but not when you know that Jennian Homes has developed the staggeringly simple but so sophisticated concept of Studio J Design Centre, located at 212 Main South Road. The stunning centre is designed to replicate a house, setting up the decision-making process in a logical order that you literally walk through. You begin ‘outside’ the house where different cladding options are displayed, along with roofing, landscaping items, decking and even the garage door. Progress through the front door and a gorgeous full kitchen is installed, but that’s just the beginning. Set up for you are all of the laminate, benchtop, tile and handle samples. You pull them out, lay them together, add and subtract, mix and match. It’s a fully interactive process enabling you to trial the visuals, sounds, and feel of your internal materials. You will also see some of Jennian’s suppliers’ newest products on display. Next are curtain and carpet samples to mix and match with your kitchen choices. Mouldings, architraves, switches and door handles follow, and even the different ways your insulation can be installed. The Fairview room displays joinery styles, while the Freedom Room showcases wallpapers. Door, wardrobe, shower, bath and vanity selections complete your experience. The team sees the design centre as a step up from the display home experience, because you have the range of options before you and it is interactive. But the company also recognises that you want to know about flow from room to room, and the indoor/outdoor dynamics. 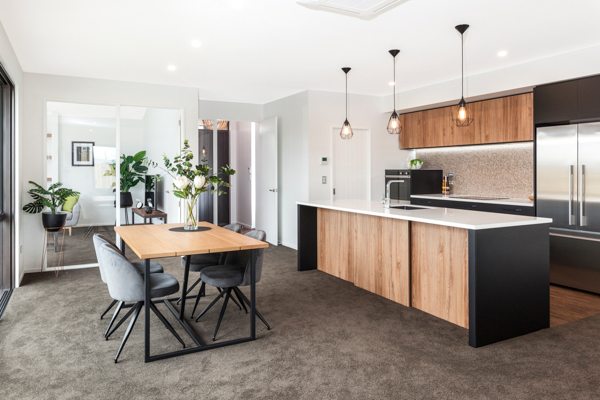 There are two beautiful display homes: one at 7 Lemonwood Drive at Farringdon in Lincoln, and the other at 9 Westpark Drive at Westpark in Rangiora, open Wednesday to Saturday 12pm-4pm. Working from Kaikoura to Rakaia, the team at Jennian is thrilled with the quality of its trades and suppliers: they have not been able to fault them. Every building journey is different, at Jennian yours can start with a trip to a display home or Studio J, a visit to the website or a chat with one of their friendly and knowledgeable sales team. The company offers a design and build service, choose from the existing ‘Ready Range’, or bring your own plans. Whether you’re are first-timer making clever decisions with your Kiwisaver nest egg, or looking forward to a high-end architectural home, the scope of Jennian Homes means the team can bring your vision to expectation to reality.